May the Fourth is the unofficial holiday for Star Wars fans. Do you celebrate? Do your kids clammer for DIY Star Wars clothing? Beatnik Kids has gathered up their favorite DIY Star Wars sewing projects. There’s sure to be something here for the Star Wars fanatic in your house. Click through for 10+ Amazing DIY Star Wars Projects! Sew Easter bunnies from old t-shirts and knit scraps with this tutorial and free pattern from Melly Sews. There are several options for the faces to personalize the bunnies as the perfect gifts. Get the pattern and the full tutorial here. Make a kid’s pillow bed the cheap & easy way! 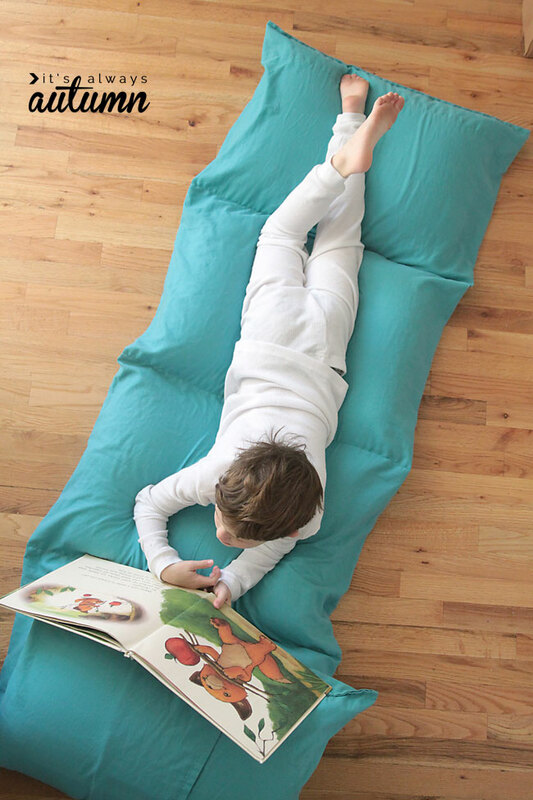 This portable pillow bed is perfect for lounging on anytime, anywhere, and makes everything from reading books to playing video games a little more comfy. All you need to make one is a flat sheet and 5 pillows, so it’s inexpensive to put together. 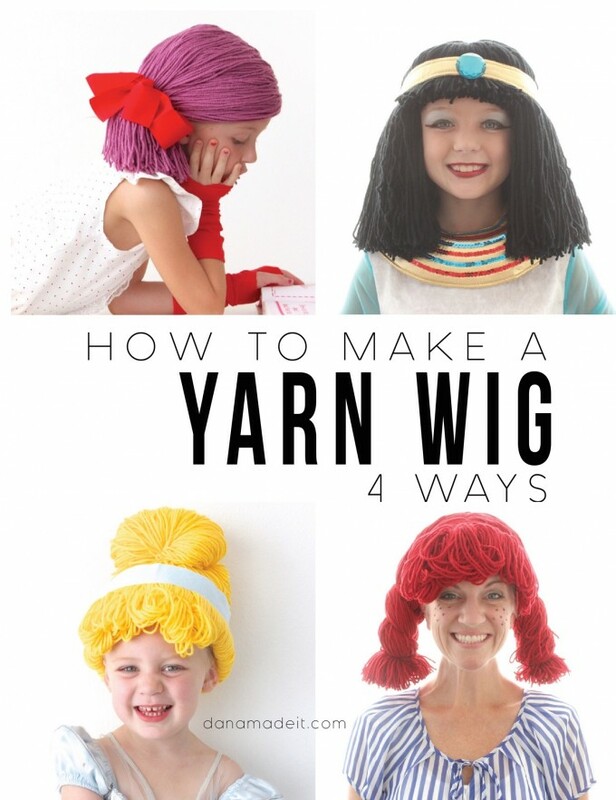 It’s an easy sew too! Check out the simple tutorial at It’s Always Autumn. Handmade gifts are as fun to give as they are to receive. Here are 25 super cool things to sew for your kids, including a pillow chair, a sleeping bag, dolls, stuffed animal clothes, hooded towels, dinosaur tails, a car wash table cover, and more. Time to start sewing some Christmas gifts! Find links to all the sewing tutorials on It’s Always Autumn. These is something awesome about a DIY costume but at the same time a seemingly simple costume can turn into a headache in seconds. Learn lots of tips and tricks for successful costume making from a pro. 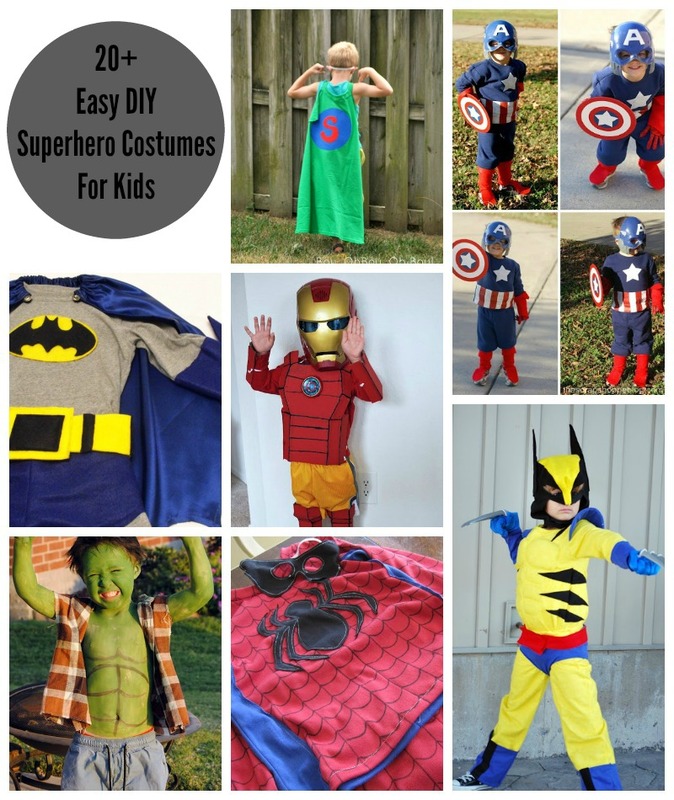 Whether you’re giving yourself plenty of time for that creation of your dreams or you’re leaving it to the last second after finding out your little one’s dress up day is way earlier than you expected you are sure to find something helpful here. 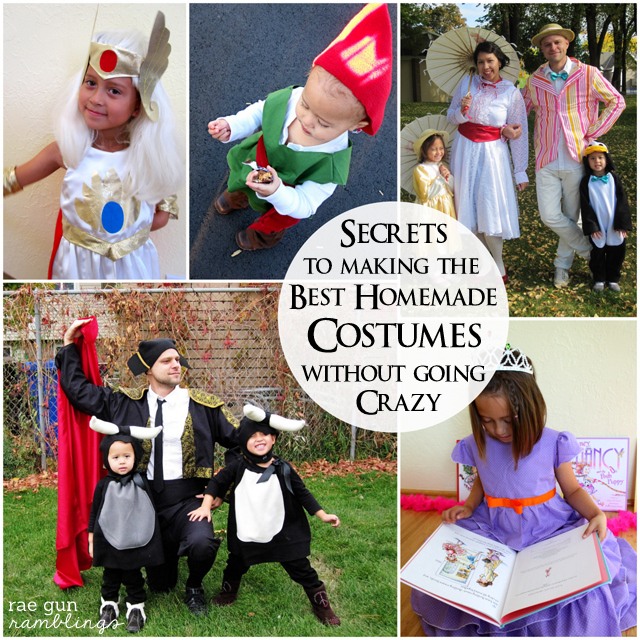 Get all the best tips and tricks for DIY costume making at Rae Gun Ramblings. Is it just me or does it feel like little ones seem to grow so fast these days? Enter the elastic waistband! Not only are elastic waist garments easy to sew and super comfy to wear but they fit every body type! They are a total home run for every child’s closet!! 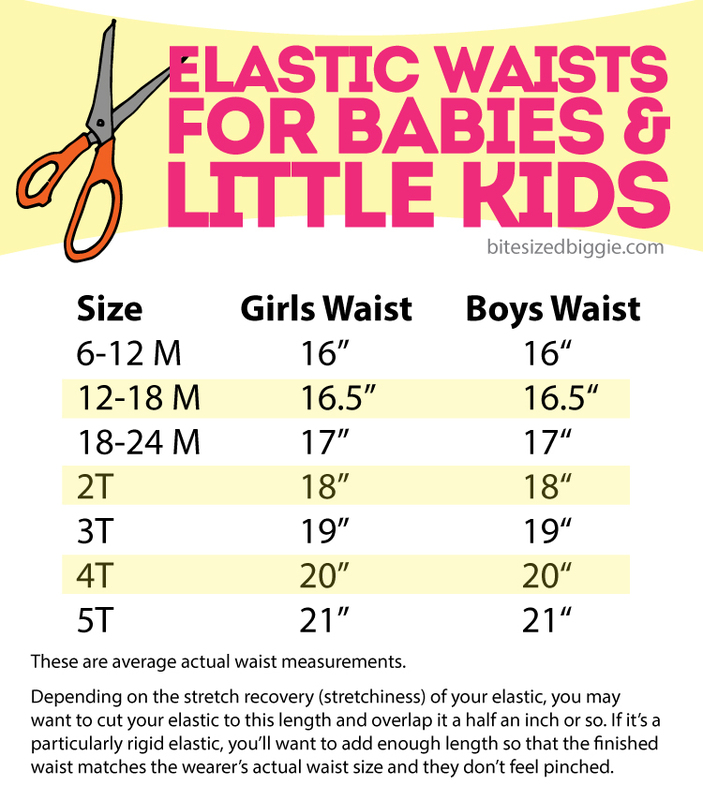 So the next time you need to make your little one a quick bottom be sure to check out and download these elastic waist cheat sheets by Bite Sized Biggie. Charts include children’s sizes from 6 months to 16 years old. Even if you only have the most basic of sewing tools, you can still create stunning, bold seasonal appliqué with these tips. Don’t fret if you don’t have an embroidery machine or any iron-on transfer paper, simply head to your local fabric store (or dive into your scrap bin) and load up on large-print cottons –think Fall, Halloween, Thanksgiving, Christmas, and beyond! 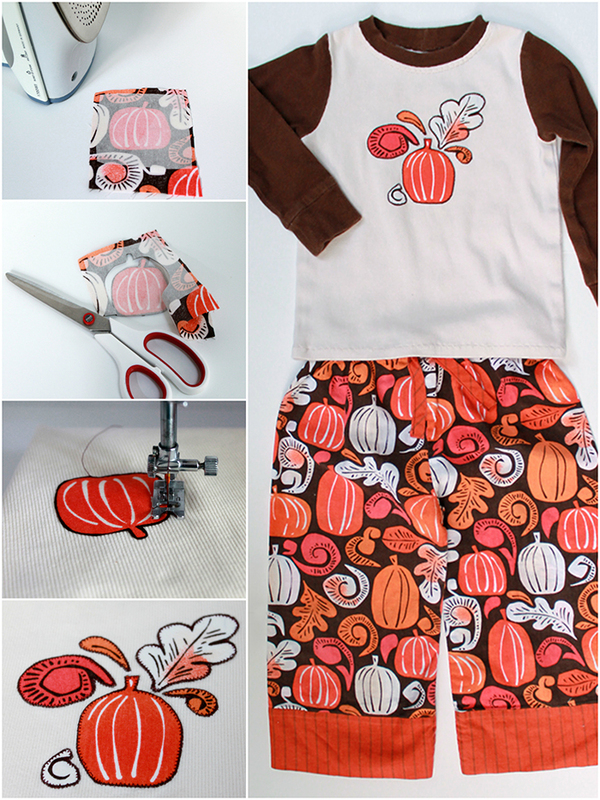 Then click over to Maybe She Made It for the full Simple Seasonal Appliqué tutorial.